At our heart, Skyline is about creativity. We’re small, with only 15 employees, but we do important work to help our customers make the best impression with high-quality exhibits and displays. While we like to challenge ourselves artistically, however, one area where we don’t want any surprises is in our computers. And as we create, send and receive dozens of high-quality images every week, that means that reliable, effective information storage is vital to our operations. If we lose any of our work, or a virus keeps us from meeting our commitments to customers, it can devastate a small operation like ours. That creates two specific needs for us: protecting our information and systems, to keep the bad guys out, and being able restore things in case something does go wrong. We have to deal with constant malware threats in our email. And, making things more challenging, I’m the only IT resource we have. And as the owner, I have plenty of other things on my plate to deal with besides our computers. Because we have limited technical resources, it was important for us to find a reliable vendor of information protection solutions – one that not only delivered the right products, but also provided excellent support. 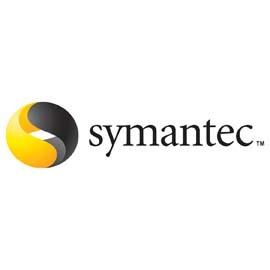 For that reason, we decided to go with Symantec. Their Endpoint Protection solution doesn’t require an IT degree to operate, and we knew they would always be available to answer our questions. We deployed Symantec Endpoint Protection on all our desktops, and on our small business server. Since then, we’ve had very few issues. And those we have had were all easy to take care of. We’ve been so pleased with it that we decided to deploy Symantec Backup Exec as well, to handle our disaster recovery needs. Backup Exec copies our entire data store every night, and I only need to spend a few seconds each day to verify that the backup happened correctly. We also use it to create periodic archives that we then store offsite, to keep us prepared in the event of a serious disaster. Symantec has helped us maintain our focus on creativity, delivering the best possible products to our customers without worrying about the security of our systems – or our ability to recover data if we do experience a problem. If a picture is worth a thousand words, our security is now worth a thousand high-quality images.